Alaska Airlines launched a fare sale to Hawaii from several West Coast cities and Alaska, with one-way fares starting at $149 from the West Coast and $179 from Alaska. Tickets must be purchased by Aug. 22 for travel starting Aug. 23 from Alaska and starting Sept. 12 from the West Coast. Travel must be completed by Oct. 31 from Alaska and Dec. 13 from the West Coast. Sample one-way fares include Anchorage to Honolulu, $179; Bellingham, Wash., to Honolulu, $149; Oakland to Kauai, $189; Portland, Ore., to Kauai, $189; Portland, Ore., to Honolulu, $179; San Diego to Maui, $189; and San Jose to Kona, $189. Seats are limited and may not be available on all flights or all days. Some markets may not operate daily service. A ticket purchased at an Alaska Airlines airport location or through a reservation call center will cost $15 more per person than the advertised fare. Tickets are nonrefundable. 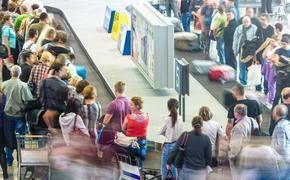 Travelers are responsible for the Airport Passenger Facility Charges of up to $9 (amount depends on itinerary), U.S. Federal Segment Tax of $3.70 per segment (takeoff and landing), Sept. 11 Security Fee of $2.50 per enplanement, and U.S. government excise tax of $8.20 for travel to/from Alaska or Hawaii. All fares, taxes and fees shown are based on one-way travel and may be doubled if traveling round trip. A $20 baggage fee will apply for each of the first three checked bags. Additional fees apply to check more than three bags and for overweight or oversized items. For more information, call 800-ALASKAAIR or visit www.alaskaair.com.